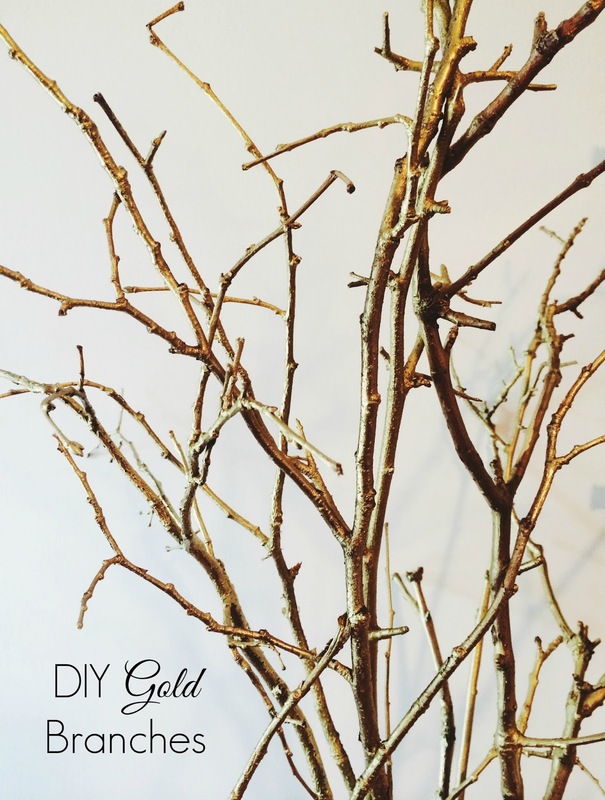 Because almost everything is better in gold, and because autumn is right around the corner, I had to share my favorite recent DIY project that is so simple but produces a gorgeous end result: DIY Gold Branches. I was inspired to create these branches after getting my first pumpkin-apple candle of the season last weekend. Our home seriously felt [and smelled!] so cozy and perfect but it just needed a touch of glam to amp up the Fall vibes. The color gold -- and all warm tones -- are of course associated with the changing of leaves and the approaching season, and branches make the perfect canvas because they can be found in your backyard, literally. I was blown away at how easy this project was and had so much fun doing it! I am already planning on putting a spin on painted branches for the winter...though I'm certainly not in any rush for those. These gold branches would make the perfect addition to any room; they would be lovely in a little girl's nursery or a modern bathroom & of course they would make a festive centerpiece for your dining room table around the holidays. Seriously, these changed my world. 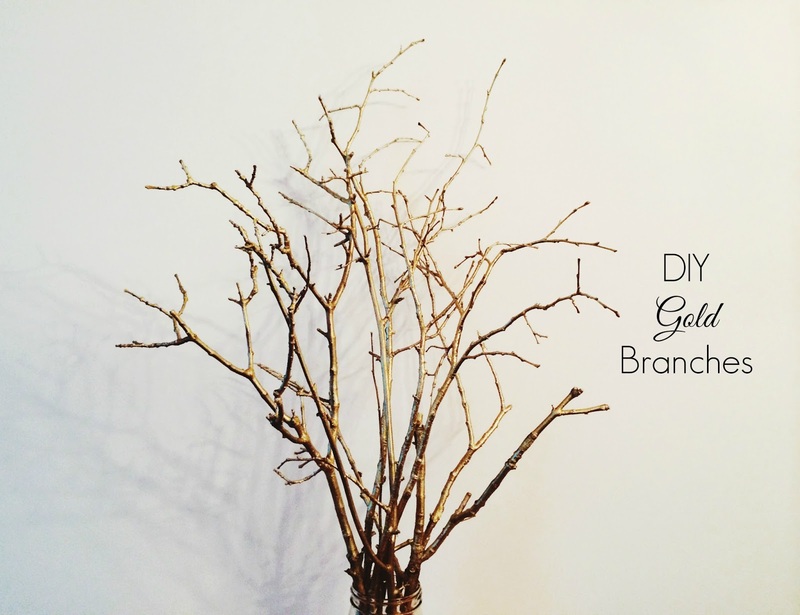 allow gold branches to dry for 20-30 minutes before arranging; remember that you can break off pieces of the branch if it is throwing your eye off; play around until you've arranged them to your taste // I started with my largest & most elegant branch in the center, then arranged around it, modifying it a few times until I was happy with how it looked. 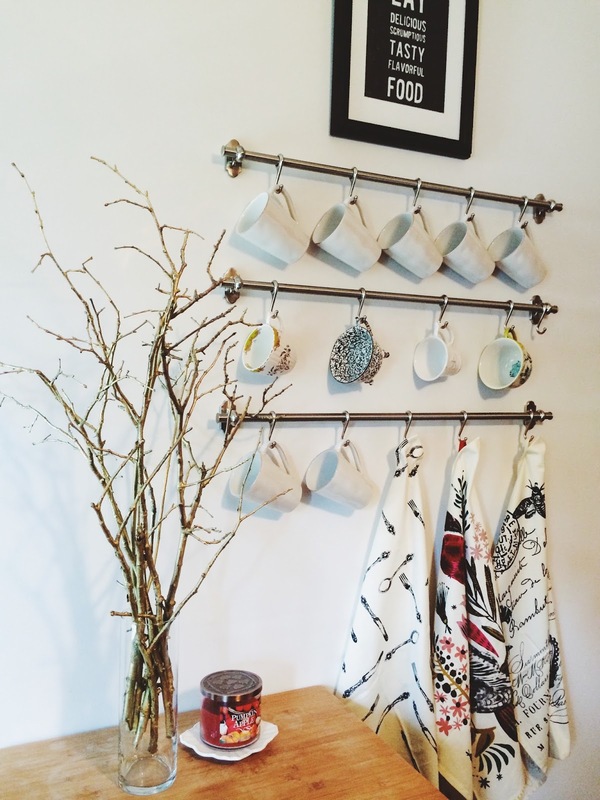 The beauty of it is that these are meant to look rustic, so the more unique the branches are -- the better! Happy Monday! This is fabulous! I know just where I'd put some gold branches too. Thanks for the idea! You have the best ideas, love this!